Could Business Coaching Be Your Next Step After Retiring? There is no denying that some of the best coaches are often those people who have a wealth of personal or professional experience in their chosen coaching field. Imagine what we could all learn from those recently retired who have perhaps decades of skills and knowledge in the business field? 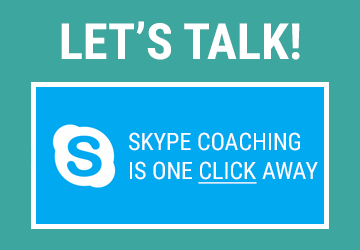 If you are one of the many people who find retirement lurking in the shadows, but you aren’t quite ready to give up on the industry in full just yet, coaching could just be your next best step! For some people entering the world of business, much of their values and beliefs will have come from textbooks, rather than real life experience. With your vast year’s knowledge, you could offer them alternative paths, routes, and ideas, encouraging them to gain a better all-around perspective at such an early and crucial stage in their business career. Real coaches challenge those they work with to think and grow. They are ultimately a role model to those they coach and can share what they know to enable those interested in going as far as possible. By giving people a direction, a coach works to bring out the best in people, just like those whom coach athletes do! If you feel that you want to take a little step away from the industry, but not lose full contact just yet, becoming a coach will allow you to stay involved at a pace that suits you. This is great for a gradual retirement plan, rather than merely stopping in your tracks when you reach your final official working day.